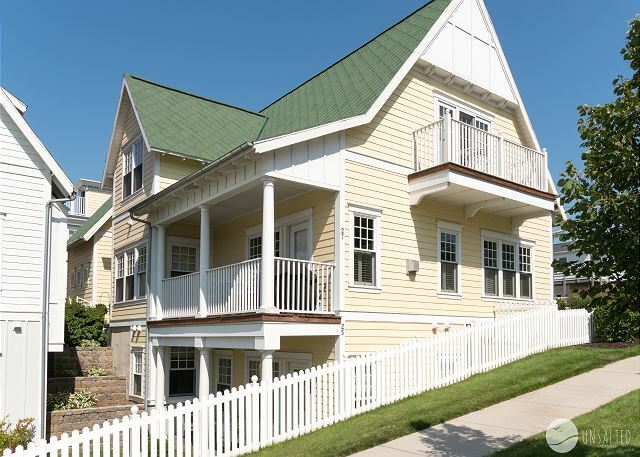 Lake Effect is one of the larger units in the Grand Haven Cottages! Exterior of the Lake Effect. 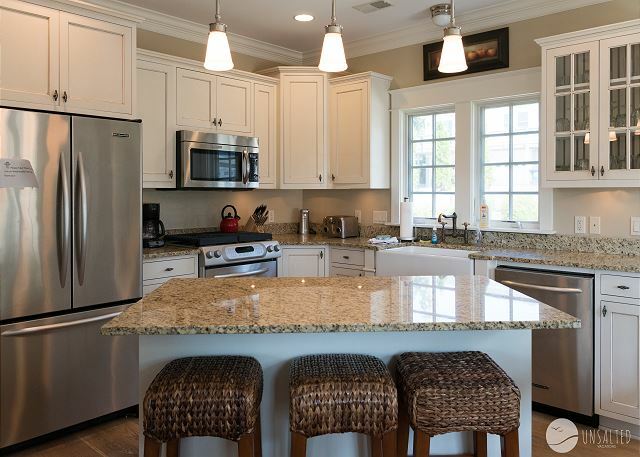 Spacious kitchen with granite countertops and stainless steel appliances. Kitchen has all the cookware you need. Toaster, coffee maker, dishes, utensils, pots and pans. 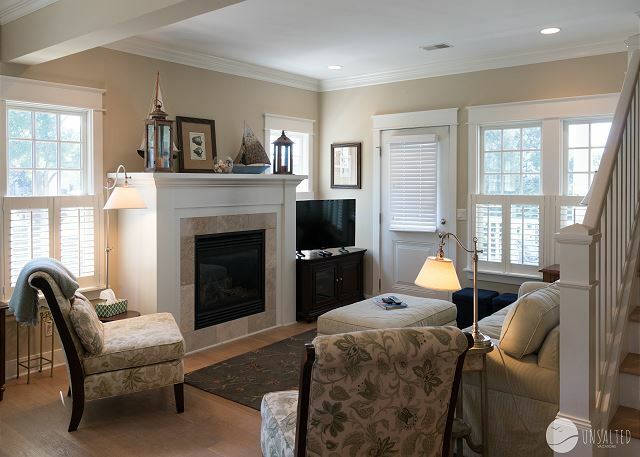 Living room with flat screen tv and gas fireplace. Step through that door onto the patio and catch the breeze off the channel. View of the kitchen dining area from the living room. Gotta love open concept living! Main floor half bath next to laundry room. 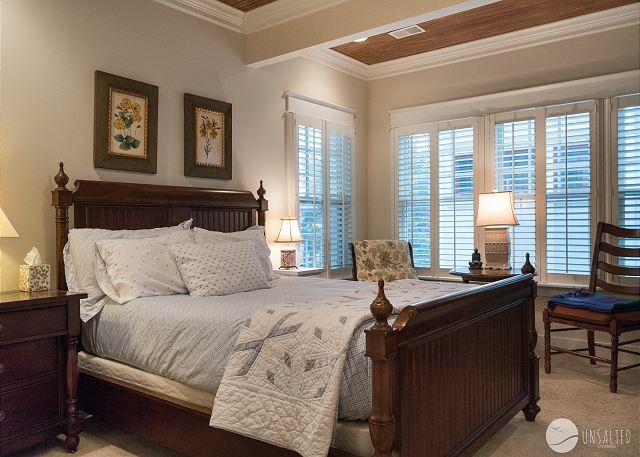 Queen size Master Bed with en suite full bathroom. 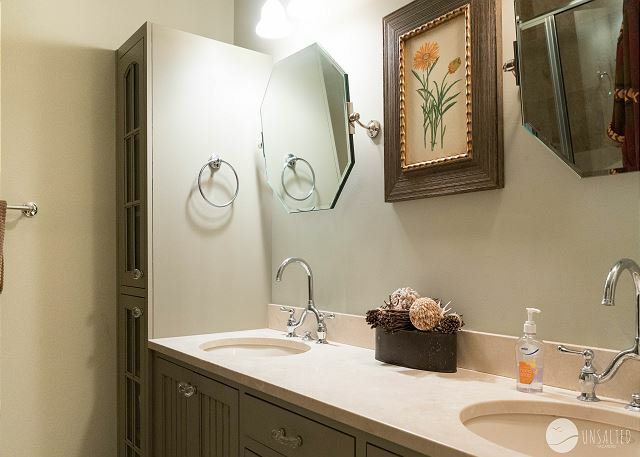 Enjoy your private master suite. Queen sized bed on the second floor. 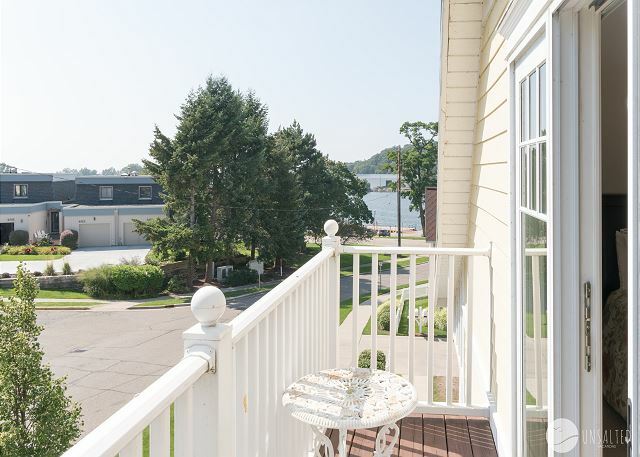 Doors to balcony overlooking Howard Ave and the Grand Haven Channel. Every room features a TV! 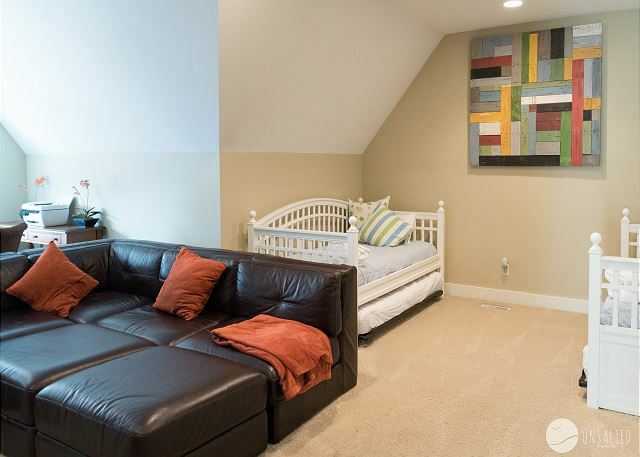 The kids will love this room - a game room and bedroom all in one! 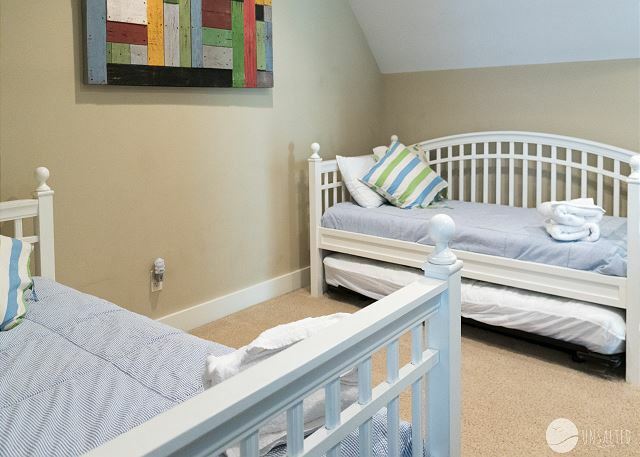 Two twin trundle beds can be found in this room. Check out this HUGE space! Perfect for game nights! Second floor bathroom with tub/shower combo and two pedestal sinks. 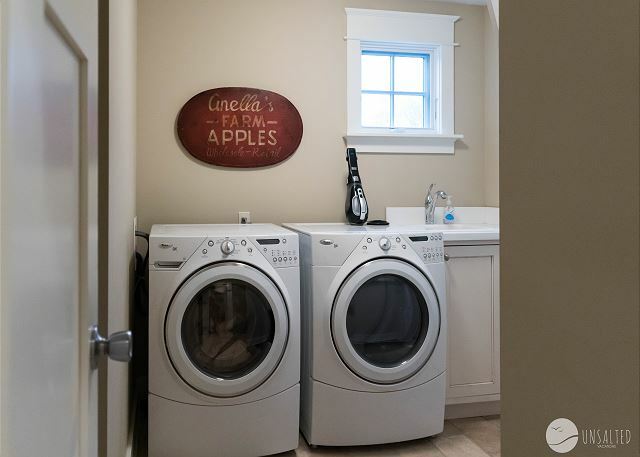 Laundry room with utility sink and drying racks. 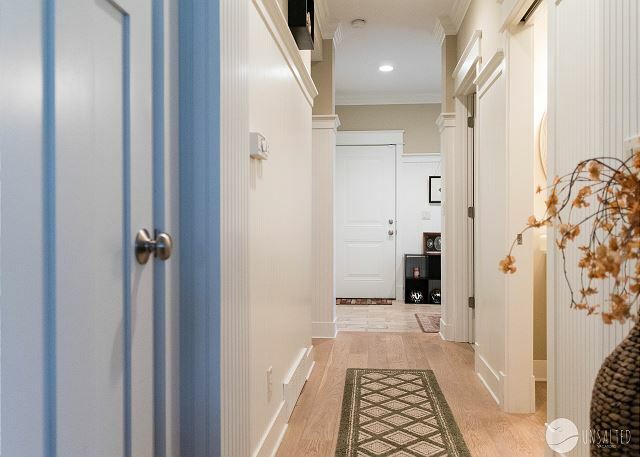 Hallway leads from large entrance to kitchen/living areas. The channel is right down the path! One garage space is provided and you can park another vehicle outside the garage. Don't worry about fighting traffic! "It's summer and the memories are just waiting to be made." 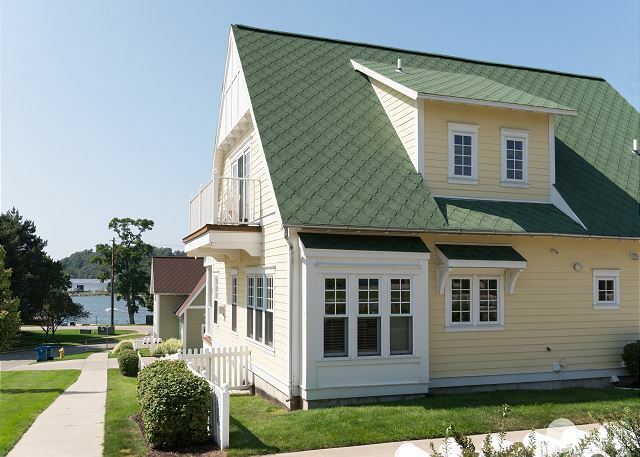 Come create priceless family vacation memories in this 3 BR, 2.5 BA cottage perched just up from the Grand Haven channel. The channel is within sight and the beach and downtown are within walking distance. It even comes with access to the shared association pool - a rare find in the heart of Grand Haven. Family and friends of all ages will love what "Lake Effect" has to offer. 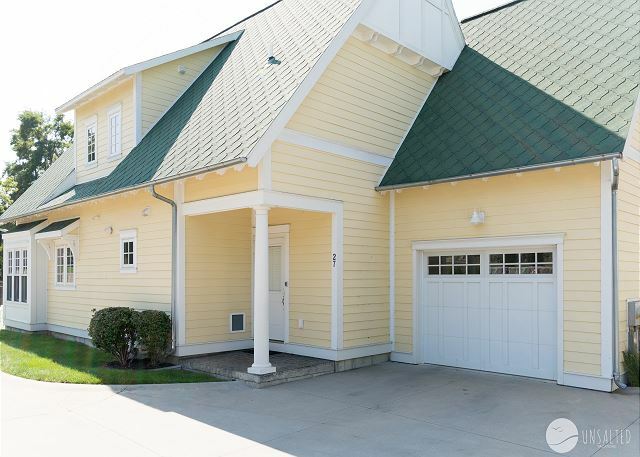 This cottage will have you feeling right at home. 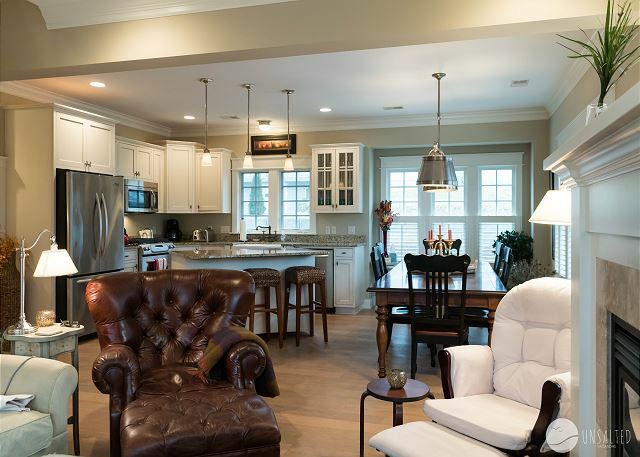 On the main floor, you will find a fully stocked kitchen with large island fit with 3 bar stools, a dining room table with seating for 6 and a living room that leads you to the outdoor balcony. Enjoy the breeze from the channel as you grill or simply take in the summer serenity. Additionally on this floor is the master suite, laundry room, and half bath. 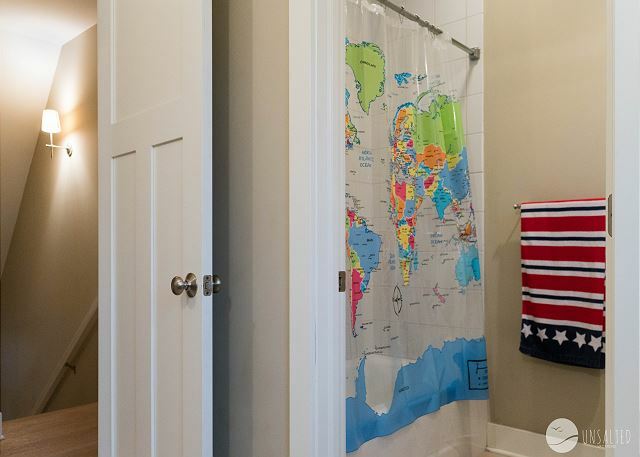 The kids are going to love their upstairs bedroom. It's a game room and bedroom all in one! 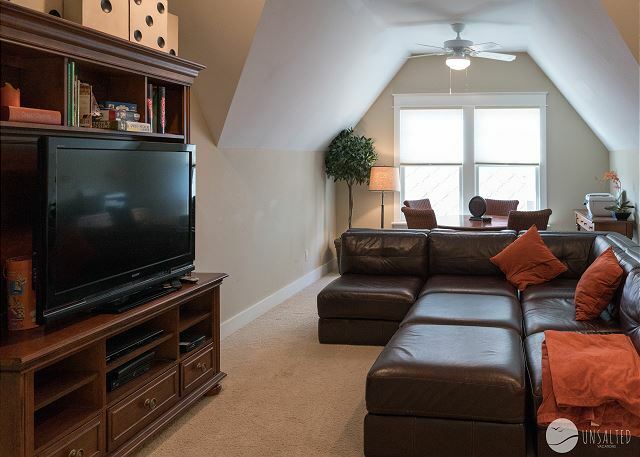 It features a comfy sectional, large flat screen TV, and a game table. 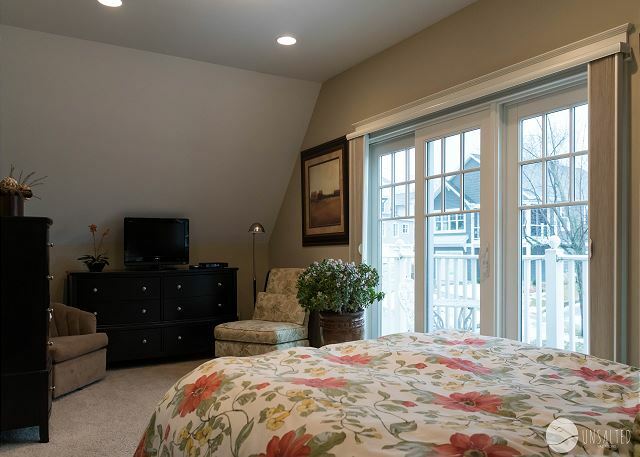 You will also find a guest bedroom and full bath on this upstairs floor. This cottage sleeps 8. Bed linens are provided. The house was very nice. Everything we needed. Location was awesome. Close by everything. Can't be beat. Wouldn't change a thing! We have come back for 5 years to this great vacation place! It’s perfect for our multi-generational family. We love the proximity of town, restaurants, the beach & the kids love the Dairy Treat & Pronto Pup within a short walk. Super views too. It was easy to book, and stay. The house was lovely, and central to Grand Haven. The pool was SMALL but great to dip and cool off. Plus most of our time was spent at the beautiful beach which was minutes away! Hi Melissa - thank you for the review. Glad to hear you enjoyed your experience at Lake Effect, please come back and stay with us again soon. Hi Roxanne - thanks for leaving this feedback, Lake Effect is a great unit and you cannot beat the location. So happy to hear that you enjoyed it, please come see us again. 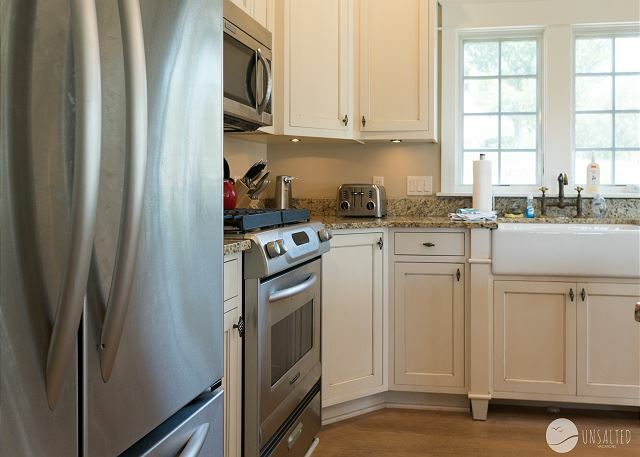 Excellent location and home near the river, evening light display, Farmer's Market, ice cream, downtown, and walkable to the beach. Home was clean and had everything we needed ... even one thing we forgot! We forgot to bring a booster chair for our 15-month old grandson and Unsalted Vacations had clean one in the garage! Hi Harold - Thank you so much for this review and we're so glad you enjoyed your stay. We look forward to having you back again soon! Have just finished our 6th year staying at same spot! We love the house, the location & everything about it. Convenient to everything in Grandhaven. Our grandchildren have a ball there. Thank you Martha, so glad you enjoyed yourselves, please keep us in mind for next year! Blew my expectations away! Loved everything about the house. Thanks for an amazing review of Lake Effect! We are thrilled to hear you had a great vacation and hope you'll choose to visit with us again! 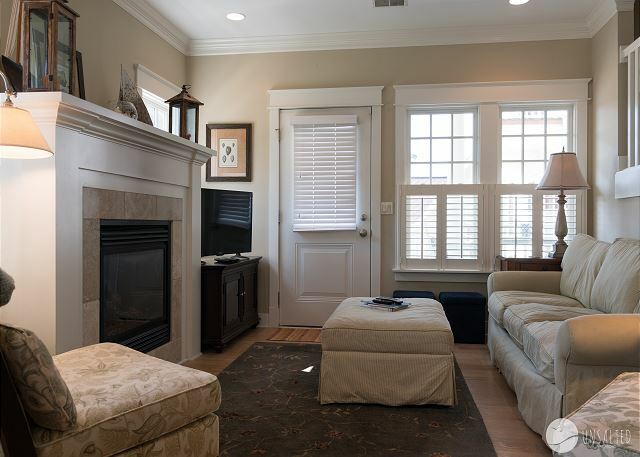 Spacious, well appointed home in the perfect downtown location ! We are so glad you had a good time! Thank you for leaving the condo in such good condition! We would love to have you and your friends back again next year!